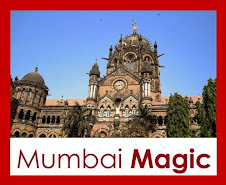 Mumbai Magic: Who are the Bhandaris? The Mumbai Magic Chor Bazaar Walk ends at the Gol Deoul temple. I was hanging around, saying goodbye to my guest, when I spotted this road sign - Bhandari Street. 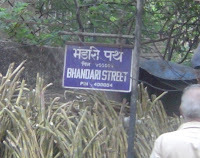 I knew that the Bhandaris were among the earliest settlers in Mumbai. 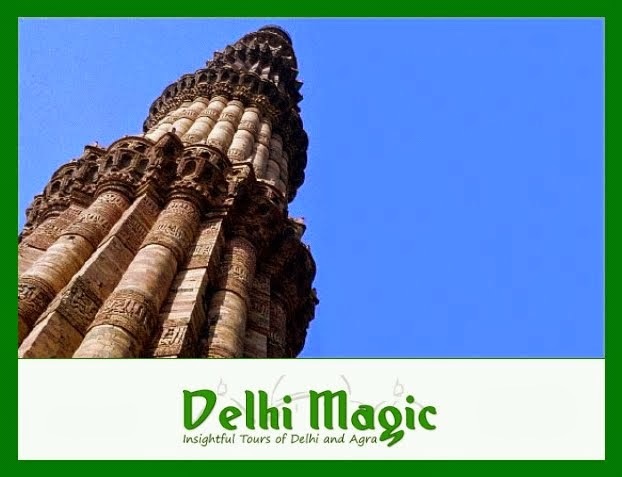 Raja Bhimdev, who ruled this area in the 13th century, created a capital city at Mahim (Mahikawati). With him came the Bhandaris. The Bhandaris in Raja Bhimdev's employ were originally toddy tappers. Have you seen them? The guys that shimmy up tall trees and collect palm wine? It's an interesting sight. I thought I'd read up a bit more about them - so I hunted around, and found out the community has a little legend about why they shimmy up trees! The story goes thus - Once, Lord Shiva mounted an army and went to war against the demon called Tilakasur. He stopped on the way, it was a hot day, and he was thirsty. A drop of sweat fell from his brow, and from that drop, the first Bhandari man emerged. Shiva asked him to find some water for him to drink. The man roamed the forest, but couldn't find anything. Then Shiva created a palm tree. In a trice, the man went up the tree and fetched the Lord a refreshing drink. And since then, this community has been climbing palm trees. Neat story, huh? The story doesn't end there. Pleased with the man's service, Shiva appointed him Treasurer of Alkavati - and so they became known as Bhandaris (Bhandar is the local word for treasury). The Bhandaris have martial traditions, and include themselves among the Kshatriya caste. The Bhandaris formed a part of the armies of many kings (Shivaji's trusted naval general was a Bhandari). They have a reputation for bravery, hardiness and loyalty. Gerald Aungier, the "Father of Bombay" formed the Bhandari Militia in the late 1600's, which was the first police establishment in Mumbai. Later, this group grew into what we call today's Bombay Police. You can read the history of the Bhandari Militia and Bombay Police in this book by S M Edwardes. There are Bhandaris all over Western and South India - the Ezhavas of Kerala (who practice the famous martial art of Kalaripayattu, from which Kung Fu originated), the Billavas of Karnataka, the Nadars of Tamil Nadu (also Kalari fighters), the Gaud Bhandaris from Andhra, and the Gomantak Bhandaris from Goa. Are you sure about the Gouds of Andhra Pradesh being part of the Bhandaris? The Gouds have been associated with Toddy Tapping. However, they do not claim any Kshatriya status. They are in fact enumerated as Backward classes. Goud or Edigas are said to be in the same group as Bhandaris. This article says that they used to be warriors. The question was out of curiosity. I am from Andhra Pradesh. In this state, traditionally, only the community known as "Rajus" are taken as Kshatriyas. As a matter of interest, the Telugu areas were never under the control of Kshatriyas except for the northern coastal areas around Visakhapatnam. So the warriors came from all communtites. There is a mention of one Kannammanaidu a member of a schedule caste being the commander of the army on one side in the Battle of Palnadu, which is one of the defining moments in the history of Andhra Pradesh. The Bhandaris count themselves among Kshatriyas as per the varna system. However, because of their poor economic status, many Bhandari communities are listed under the 'Other Backward Classes' category. Communities which have not received OBC listing are fighting for it. 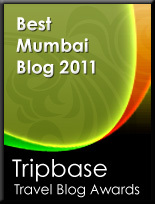 Your blog is very good resource for information on such topics. I liked it very much. Hello deepa..terrific stuff on city and its history. I edit a paper called Ht Cafe, part of Hindustan Times in Bombay, and would very much like to use the article if it has not been printed elsewhere. Also wanted to know if you would like to contribuite to the city page of the Cafe on a regular basis. Please do call me on my cell 98210-46318. Hoping to hear from you soonest..regards..Khalid Mohamed. Hey.. was checking out stuff on the community and, wow, ain't this a treasure trove. A very interesting community, and their warrior lineage is fab. Actually was looking up tidbits to impress my girlfriend ( ok ok.. ;-) ) But really, good history lesson. Good post , btw we do not count us as Kshatriya , we are kshatriya's I belong to Sheshvanshiya kshatriya bhandari family for your very kind information. Kindly study well before writing on caste and also referring to open sites like wiki where citations are needed. Anonymous, If there are any factual errors in the article, please point them out. I don't see any so far, but happy to be corrected. I agree wiki is not reliable, I was only using it to answer a question that someone asked. 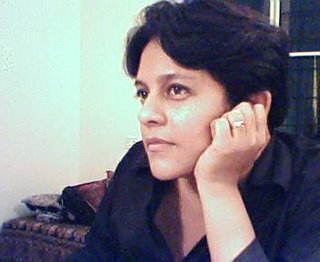 I also read through several other websites including the marriage portals where I searched for Bhandari brides and grooms to see what castes they listed. its nice post deepa, i too was checking out the history of bhandaris, they got a great history behind them, just confused there are bahndaris' who are lower caste(not economicaly but due to their profession) and also kshatriyas. Okay it's interesting but would anyone like to tell me that what about bhandaris frm Nepal, we do have so many numbers of bhandari families in Nepal. And just for further information in Nepal there is two kinds of bhandaris; one called "rajbhandari" and another just "bhandari". N I m bhandari aswell..Brahmin dananjay gotra... Just wondering if anyone can figured it out...??? I feel that Hindus should stop talking about their caste and sub caste and think of them as nothing but Hindus and human beings. I cannot think of any good reason that caste can help us in today's modern world. The government should really ban and destroy any paper indicating the caste of a Hindu person. This will make us come together as a religion. Maybe the government is afraid of Hindu unity. Bhandari subcaste belongs to which caste?? Obc???? Hi, My self Sainath. I'm belongs to the Bhandari caste community from Mumbai, Maharashtra. First of all Bhadari's are belongs to seafaring castes. Which comes under "Kshatriya" varna. Today it belongs to Other Backward Caste (OBC) category. Our mother tongue is MARATHI. We have big impact on today's Maharashtrian culture especially in Mumbai and Konkan region of Maharashtra. Do not confuse in Bhandari surname and Bhandari caste both are different. Nepali surname Bhandari is different one & it is not comes under our caste. Hi Deepa, I am a 96K Marartha girl, married into a Bhandari family. I have been trying to obtain as much information as I can about the culture, history and origin of the Bhandari community. Your article has certainly helped. Would like to thank you and encourage you to continue your research and post the same. i have observed some surnames in bhandaris and bhavasar kshatriya (a caste prominent in maharashtra , gujarat and also seen in karnataka, andhra pradesh, tamilnadu and rajasthan but in less number compared to maharashtra and gujarat) are common.....can any body tell me the reason. interesting... I am a Goud from Telangana. And my surname is Banadari. I have known people with surname Bandari not all of them from Goud community. Traditionally Goud community in Telangana is associated with Toddy Tapping. My father, grandfather & all my uncles were/are Toddy Tappers. Economically we are very poor compared to other common castes. Thus we come under backward caste. Currently I live in Kolkata where one can find many Bhandari's. They are from upper caste unlike Gouds from Telangana/AP. I had lived in Bangalore also. Where people used to associate me with Gowda community which is again an upper caste in Karnataka. I always assumed and debated that Bandari is different from Bhandari and also Gowdas of Karnataka are different from Goud in Telangana/AP. This article suggests otherwise. Now I have a soure that indicates that Bhandaris, Gowdas, Gouds all were same except that Gouds from Telangana/AP are socially and econamically backward community. Your article is very informative. I have few inferences drawn regarding Goud community in Telangana beging backward unlike other Bhandari's. This might be due to Muslim rule in Hyderabad State (Telangana) which resulted in oppression of Hindu people. (Other areas were under either British and/or Hindus) After the independence only people with lot of land (Zamindars) and Farmers could regain their economic status (Reddy, Patel)..etc. And thus Gouds of AP are regarded as Backward Caste in current society. Will you Pls provide this information in hindi or marathi language. I wamted to know that punjabi caste bhandari belongs to which category general or obc? I was searching for the history of Bhandary's and my search brought me here. There are also bhandarys (sometimes spelt bhandari) from the Bunts community of manglore,parts of kasargod district bordering karnataka and kerala. This is the same community with its popular surname being Shetty. None of them were into toddy tapping. Infact they were traditionally feudal lords and are now the hotel business dominating community. There are also bhandarys from the bunts community from manglore and parts of kasargod district bordering karnataka and kerala. The community's widely known surname is Shetty. These bhandarys (sometimes spelt bhandary) were feudal lords in the earlier decades and now are dominant community of hotel business in mumbai. Please stop discussing on stupid topic Castism and all, Please focus on developments and growth, don't show your interest of mythological stories which we don't have any evidence.
" Those who claim themselves to be Kshatriyas are in fact known by local names, in the Punjab - the Khatris; in Bihar,U.P.,Rajashtna and madhya Pradesh - The Rajputs or the Thakurs; and in Andhra Pradesh the Rajus"
- Page Nos. 239,240 A social history of India by S.N.sadasivan. Published by APH Publishing.
." The Rāzus, Mr. Stuart writes further, ...... .. As a class they are the handsomest and best developed men in the country, and differ so much in feature and build from other Hindus that they may usually be distinguished at a glance"
Sri V. Ramachandra Rao's article "A Brief note on the RAJU community of Andhra Pradesh" is available on the net. which provides good info. on the Raju community. I am kuber bhandari.we are located in south Gujarat only.can you tell me which cast we belongs?? Long time ago a person was carrying history of some castes. He lost his memory and some of the people found some papers translated in English about a caste Bhandari. It was noticed from the summery that, Originally Bhandaris were Brahmins and are from the family of Arya Chanakya. This community was Kshatriya Bhrahmins like CKP.They were Samveda Brahmins. This community was used by several kings who were the followers of Vedas. Many families die during war and many of them settled in various part of world. Including Africa, USA, UK,Nepal, France etc. This community was appreciated by all kings, Saints and other people as perfect Hindu, very honest and brave community. My personal observation is that, they prevented lots of Mughal attacks on Hindus, They protected lots of saints, including Shankaracharyas. Recently during British raj, they protected Mumbai from Muslim culprits. British and French and even Germans appreciated their bravery and brain. Also note that, Gaud and Gauda are different. Gauda are from tribal community. I dont know about the status of this community as OBC or any other. It's a very good,informative and exciting site.Very well smothered with beautiful pictures that makes it much more exhilarating. My self sandeep bhandari I belong to amritsar punjab india. Bhandari kshatriya have great history in ancient india bhandari cast hindu khatri caste . Hi I am vishwanath bhandari my cast sc madiga. in karnataka so many bhandaris in sc caste is real.please reapply me. Bhandaris of Nepal and Garhwal fall under Chhetri/Rajput (Kshatriya) group. They are Among the other Kshatriya clans like Bisht, Thapa, Basnet, Rana, Negi, Bohora. Where as Rajbhandaris belong to Newar community of Nepal. They also fall under Kshatriya caste but they're considered inferior to Bhandaris. Bhandaris are not Kshatriyas or warrior community as they claim themselves to be. The word Bhandaree is a combination of two Marathi words Bhanda and Aaree. Bhanda is a kind of pot made up of gourd for collecting toddy and aaree is a curved metallic instrument used for making cut on toddy trees. If you can get to see a photo of bhandaris taken by a british - Willliams clerk in 1865 in Mumbai, wherein two half-naked bandareen are having this bhand and aaree with them, it would become clear to you. The story written by you is a fake imagination propagated based on fake mythological stories. could you please send me a link stating that there are different form of Bhandaris. One which are a part of OBC and others who are part of general category (Kshatriya Bhandaris). Please its really very important !